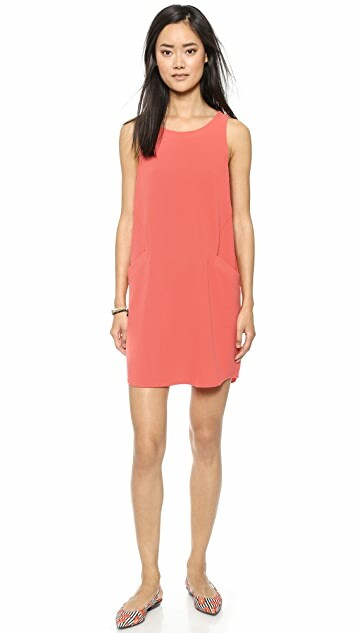 This relaxed BB Dakota shift dress cut from crisp crepe blends casual and formal styles. Slant front pockets. Sleeveless. Lined. Felt like this was not like pictured - big, baggy wide cut - not flattering on most I would think. I already bought size S, but its still huge on me. Not a very good cutting. A little bit disappointed. It can be the worst item I bought from shopbop. Feel sorry but I will not return it because it may cost me even more. 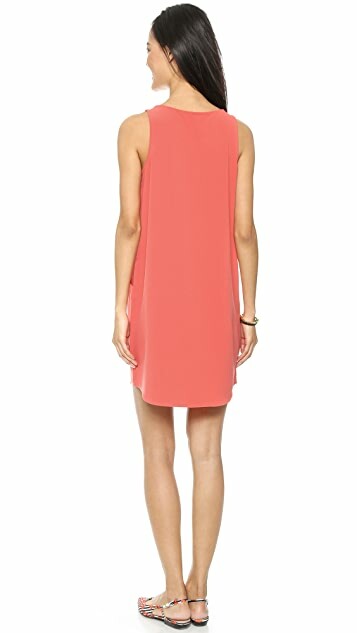 I usually wear a medium in shift dresses and so that was what I ordered and it was huge; order a size down. 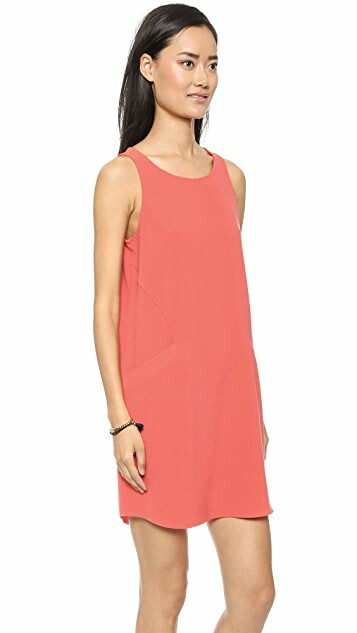 Beautiful color (I ordered the coral) and great casual dress, but unfortunately I had to return it.